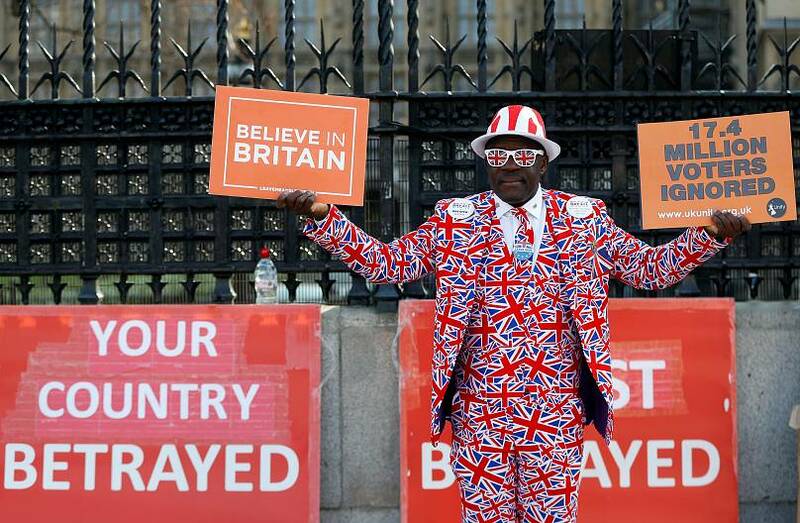 Thousands of people holding Union Jack flags and chanting “Out means out” and “Bye, Bye EU” gathered in front of parliament in London on the day the UK was initially meant to leave the European Union. Many pro-Brexit protesters are angry at how the government has handled the Brexit process and oppose delaying Britain’s departure from the EU. Many held signs accusing Prime Minister Theresa May of treachery. May's watered-down version of the government’s Brexit deal lost for a third time on Friday with 286 in favour and 344 against. It remains uncertain how or when the UK will leave the EU. Nigel Farage — the former leader of the United Kingdom Independence Party (UKIP) and a major pro-Brexit campaigner — is due to address the crowd after the vote. Many protesters fear that the leaving process will be foiled by politicians who do not support leaving. Farage is set to voice many of those concerns at a “Brexit Betrayal” event, which will be the culmination of the two-week march that set out from Sunderland in northeast England. "What should have been a celebration is, in fact, a day of betrayal," Farage told Reuters. "There will be a lot of anger. I certainly have never known a time in my life when people have said such rude things about the political class, about the government." 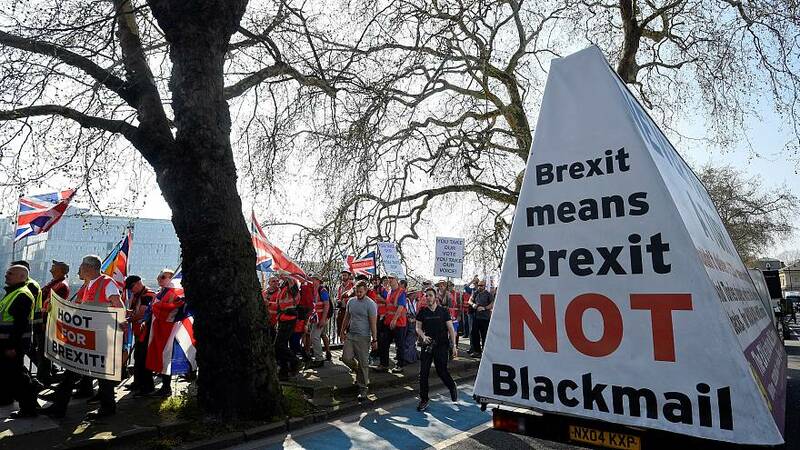 Others gathered at Bishop's Park on the River Thames bank to march the six kilometres to parliament with placards that read "Leave now" and "Honour the vote!". Reuters talked to David Malindine, 63, who was at the march. Far right Leave activists organised their own march in Whitehall near May's office in Downing Street. Many of them said British politicians would be punished if they did not deliver Brexit. Andy Allan, 58, who was carrying a red and white St George's cross flag, predicted that there could be unrest modelled on the "yellow vest" protests that have rocked Paris for the last few months if Britain fails to leave the EU. "It is absolutely disgusting what is happening," he said. "Be warned - this is just the beginning of a mass uprising if we get betrayed by the politicians."